The basalt floor of Khufu's Mortuary temple. Located on the east side of the pyramid near the boat pits. 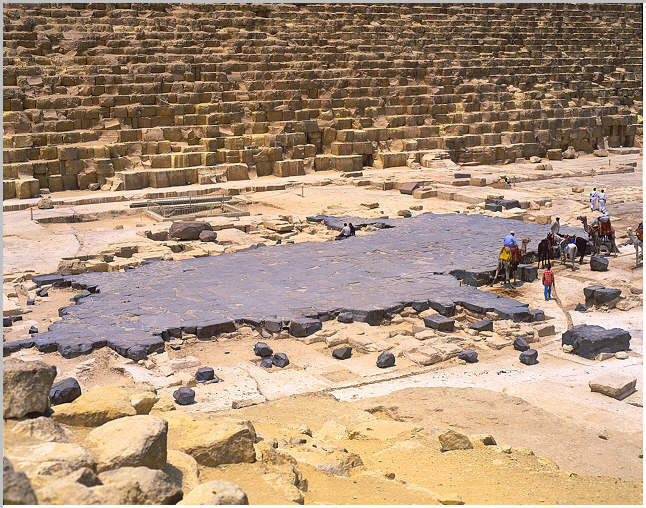 The original pyramid temple is completely razed, the black basalt floor is the only remaining element.